AKD Angle Punching, Shearing & Marking Line will save your time… Akyapak, AKD Angle Punching, Shearing & Marking Line, provides a new production solution for power plant or electrical poles, towers, oil refineries and all steel construction works that require quick but high quality operations without wastage. 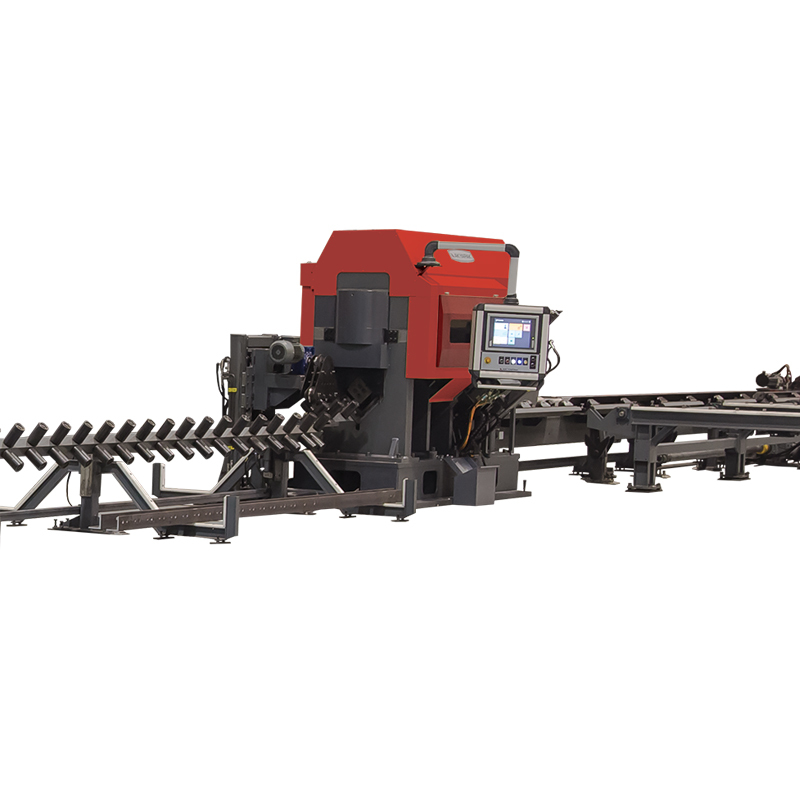 Designed to punch 40x40 - 160x160 L angle bars up to ø32 automatically and to cut them in programmed lengths with speed and high quality. 12 meter input and 12 meter output stands, pushing jaw enables to increase to efficiency and your works will be completed much more quickly. With AKD, having loading unit with capacity of 5 profiles, you will save your time.